With the warm weather this weekend, thoughts of spring enter our minds. Now is the time to start thinking about what home improvement projects you might need in the upcoming months. Be prepared for the unexpected also, the Minnesota seasons can be harsh on our homes, causes wear on your roof, siding, etc. The cold winter and the warm summers can cause stress on your roof. If your roof hasn’t had an inspection recently, put that at the top of your priority list this spring. Have your local Bloomington roofing contractor like Snap Construction come out for a free inspection. 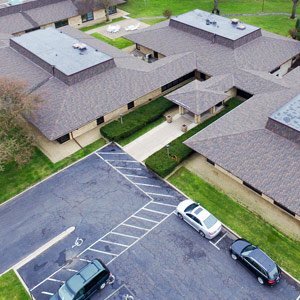 During the inspection, we will look for overall wear and tear of the roof including loose or missing shingles, loose granules, rust spots on flashing, cracked rubber boots and vent pipes, and more. A spring roof maintenance option may be good for you if your roof is in need of some basic repairs. During this inspection, we can easily check out your gutters to ensure that they are in the best working condition. It is important to make sure that there is nothing blocking the flow of the gutters and that they are cleaned regularly. If they haven’t been cleaned, put that on your list. If your gutters are out of reach, hire a handyman or gutter cleaner to come out to your home for a cleaning. They will safely and effectively clean your gutters to be sure they are in the best working condition for the April showers ahead! 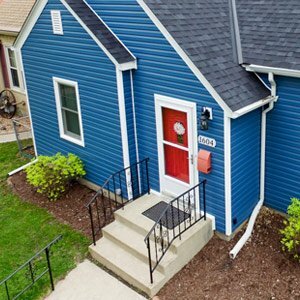 Other projects that you may want to start thinking about besides your Bloomington roofing and gutters are your siding, deck maintenance, lawn care, gardening, window cleaning, driveway maintenance. The list could continue, and you truly know your home best. Prioritize what things are more important this year and need to get look at first. If you ever need a professional opinion on something or are unsure of a project, never hesitate to contact your local contractor that specializes in that category. Follow this blog to continue to get tips on the upcoming season!